Mazda was founded in Hiroshima, Japan during 1920 under the name of Toyo Cork Kogyo Co., Ltd, which was later shortened to Toyo Kogyo Co. in 1927. Ultimately, Toyo Kogyo was a manufacturing company, which made machine tools, weapons and vehicles. The first of these vehicles was the Mazdago autorickshaw. There are frankly, far too many to name. Nearly all of these cars have gone on to become popular models to modify by enthusiasts. 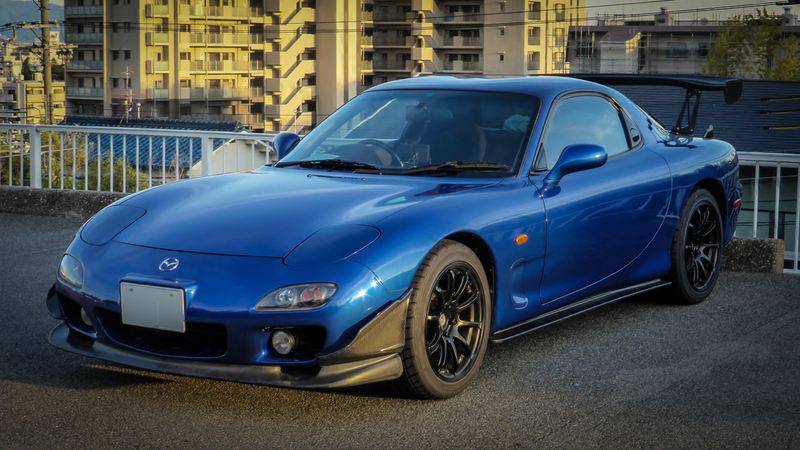 Mazda’s earlier RX range remains very popular for high powered, high quality restomod builds, while later model RX-7’s, once popular for drift and track builds are fast becoming collectors items in the popular JDM collectors scene. The highly successful Mazda Miata MX5 remains a very popular track and drift car due to it’s excellent handling, and affordable platform. There are not many other cars that are so well balanced, are widely available, and have huge aftermarket support. But like most auto-manufacturers, Mazda is threatened by a changing automotive landscape, with ever tightening emissions controls and fuel efficiency standards. 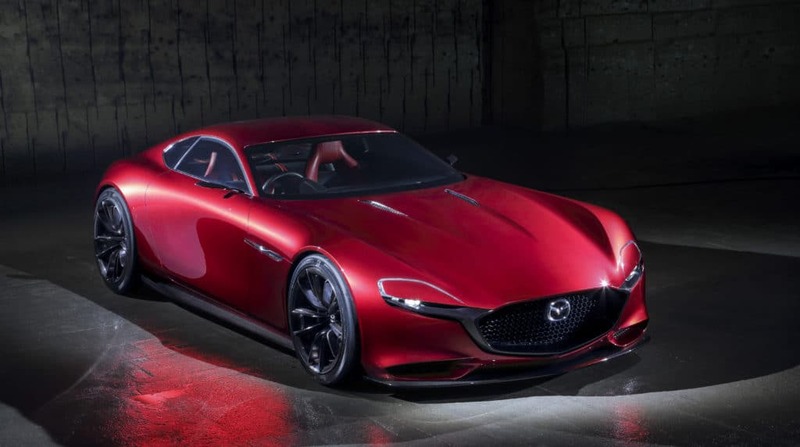 Positively, Mazda is one auto-maker that doesn’t feel compelled to design their cars to be excessively futuristic, and they are making efforts to keep their rotory roots, by developing their SKYACTIVE-R engine. Unlike many brands that fail to impress, Mazda has us waiting for what will come next. The wheels you use on your Miata, regardless of generation (NA, NB, NC or ND) are crucial to making your car look great and perform well. Large and heavy rims will slow your car down and make it feel sluggish. Many people complain about the performance of their car after they buy new wheels, because they didn’t know to keep size and weight down. Shaving off weight and keeping your wheels light is crucial for making sure your Miata feels how it should after a wheel upgrade. We’re here to help, so you don’t make that mistake. This guide will help you find a set of Miata rims by showing you the ideal size, weight and offset. Then we’ll show you our favorite wheels for a Miata – the ones we think are the best. Way more than an afterthought, your Miata’s exhaust system is an integral part of your roadster’s character. It has an important effect on performance and efficiency, but the exhaust system is also your car’s voice. Its stock components are workhorses that have, in many cases, outlasted their expected usefulness. But when the designers realised they had such a potentially popular and versatile roadster, they had to make compromises. Everyone wasn’t going to want their MX5 to roll off the lot with that throaty, sporty rumble you want. So, they tamed it. The OEM exhaust is good, but there are plenty of aftermarket Miata exhaust systems that are great. As far as we’re concerned, the exhaust systems in this article are the best on the market. Smooth shifting was always going to be a key component of an enjoyable Miata experience. From the get-go, a five-speed manual transmission was the standard option — and is now easily the most popular option with enthusiasts than the four-speed automatic. 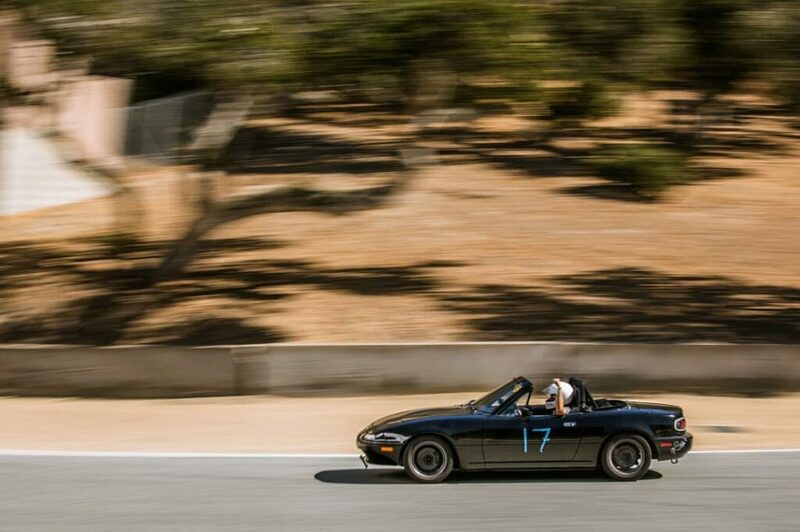 Miatas do different things for different people — from stealing first place on your club’s track day to bringing style to date night. The clutch is one of those components that is closely connected to the driver and swapping the stock out for aftermarket clutch can dramatically change the driving experience. The path from OEM (and other cheap Miata clutch options) isn’t necessarily a straight line where price and quality move up in tandem. We’ve set out this guide to show you the best Miata clutch options. It’s simple, brake pads wear out. Unlike other components that you may never need to think about, you replace your pads often enough to want to make the right choice. There are also plenty of reasons, beyond just practicality, to look into new pads. Maybe you’re sick of the ridiculously dusty brake pads the previous owner put in your Miata. Maybe you find yourself at the track a lot and want brake pads that won’t glaze over. Maybe autocross brake pads with maximum bite are your priority. Or maybe you just want the thrill of going from 60 to 0 in the shortest possible distance. Whatever the reason for changing your Miata’s pads, in this guide we’ll look at the best Miata brake pads on the market. Zippy power in a small package is the Mazda Miata promise. Nearly three decades as a bestseller means that there are a lot of MX5s out there trying to fulfill this sales pitch. Some Miata owners were happy enough with the stock setup and left it as is. But for the rest of us, modding our Miata can border on obsession and coilovers are a popular mod option. For most people, a two-seat sports car can only fulfill the daily-driver role for a short stretch of their life, so Miatas get bumped to weekend car status. They also appear frequently in the secondhand market and are picked up by those looking for a starter track or drift day car. For all of these activities, handling is a key element. Once you get past the debate about coilovers vs. lowering springs we expect you’re onboard with the idea that coilovers are the best-bang-for-your-buck route to a smoother driving Miata. From value plays to street options to track performers, in this article you’ll find the best coilovers for your MX5.